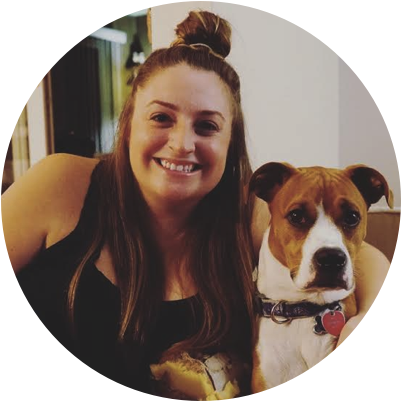 Read Lauren's review of Night School. Star Kevin Hart and producer Will Packer, who partnered for the hit Ride Along and Think Like a Man series, bring their signature style to Night School. The comedy from director Malcolm D. Lee (Girls Trip) follows a group of misfits who are forced to attend adult classes in the longshot chance they’ll pass the GED exam. A movie starring Kevin Hart and Tiffany Haddish – need I say more? Give these two a series because Night School was absolutely hilarious. I think I might have missed a few scenes because my theater was laughing so hard – which is always a good sign! Kevin Hart plays Teddy Walker, a successful salesman whose main job in life is charming and conning people into buying anything he says. He puts on a fancy front, driving a convertible and renting an apartment he can barely afford to give this fancy aura and not draw attention to the fact that, in reality, he’s a high school dropout who never got his GED. After he accidently blows up his place of employment, Teddy realizes the only way he’s getting another job is by attending night school to finally get his GED. Low and behold, he returns to his old high school with his eyes set on graduating. What he finds in night school is a nutty group of misfits who all have their own personal reasons to get their GEDs and an unconventional teacher (none other than Tiffany Haddish). While an unlikely crew, they find a lot of support and friendship in each other thanks to their own individual quirks. Kevin Hart and Tiffany Haddish have awesome chemistry – from fighting verbally and even physically to giving each other the support they truly need. The supporting cast includes Rob Riggle, Taran Killam as the school principal who happens to be Teddy’s high school rival, and a surprise MVP performance by Fat Joe who plays a prisoner attending the night school virtually. 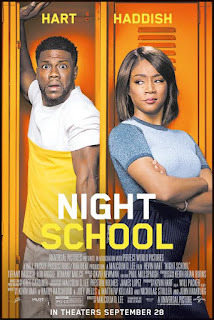 As a disclaimer, I’m a huge fan of both Tiffany Haddish and Kevin Hart, so I already knew I’d enjoy Night School. If you want a fun, light-hearted movie packed with laughs – then I recommend it!